Below are videos I recorded this past Wednesday. Straight from a memory card used in my drone, they are unedited and quite imperfect but they will give anyone interested in Alexandria, and specifically Lake Victoria and Lake Burgen, a look at the status of the ice at both lakes (as of Wednesday afternoon). I’ve been busy and hadn’t gotten to editing them and the ice would have likely departed by the time I got to them. 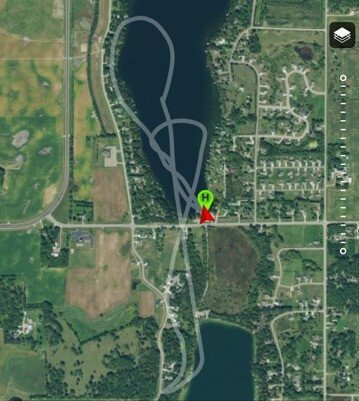 Besides offering an ice update the videos also show neighborhoods off the lake at the southeast side of Lake Victoria with addresses such as Wilderness Ridge, Lois Lane and Shadow Lane, as well as homes on the east side of Lake Burgen (East Burgen Road and Maple Drive) as well as Rosewood Lane at the northwest corner of the lake. Notice the large swath of land that is owned by the state at the north end of Burgen. There is a Public Access there as well as across Hazel Hill Road at the south end of Victoria (look for the pier). You will see my black car in the large parking lot. You will also see the Living Word Lutheran Church (it is white) on the east side of Lake Victoria. The Burgen Public Access has some of the nicest lakeshore you will find. Sandy and no weeds. It is one of my favorites, if not my favorite, Public Accesses to park my car at and pump up my inflatable SUP for a tour. The videos are very far from perfect, or good, but I hope someone enjoys them or finds them useful.